Welcome readers, to the spectacular month of September. That fantastic watershed between Summer and Autumn where you can just as easily find yourself reaching for your bikini and sun lotion as much as be pulling out the fall knitwear. This month is particularly dear to me as it is my birthday month, and with that in mind, I am excited to share with you some fantastic September sparkles featuring my gorgeous birthstone, the Sapphire. When it comes to jewellery I tend to pick my pieces dependant on my mood, and I am particularly drawn to designers who take their use of stones to an entirely different level. Since having the time to indulge my jewellery obsession a little more I have thoroughly enjoyed exploring the online shopping malls and trawling Twitter to uncover those designers previously unknown to me, and perhaps, unknown to a lot of others also. For this article I was keen to showcase a designer whose style and originality I really admired. So, without further ado, take some time to gorge your eyes on these beautiful Sapphire pieces by Annoushka Ducas. For those that are not familiar with Annoushka’s extremely glamorous yet amazingly feminine jewellery, or the woman herself, allow me to provide you with a bit of background. 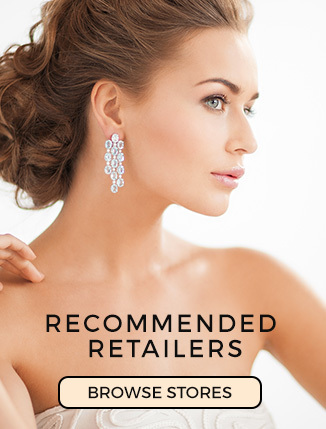 Annoushka Ducas MBE is one of the UK’s leading fine jewellery designers who has, since 2009, founded and run her own jewellery company ‘Annoushka’. However, Annoushka was making waves in the jewellery industry long before 2009. In the late 80’s a pair of fish cufflinks that she made for her mother’s fish business, grew into a ground-breaking idea and the global luxury brand ‘Links of London’ was established. The brand was a huge success for both Annoushka and her co-founder and husband John Ayton and was recognised for making luxury jewellery widely available. In 2006 when the couple sold the business, the brand was available in 25 countries. Annoushka was awarded an MBE in 2012 for her services to the jewellery industry and from what I have seen of her designs that is very well deserved. Annoushka really seems to understand that women want to wear jewellery that is an extension of their personality. I not only choose pieces that I like aesthetically, but also ones that I feel reflect my character and how I want to be seen by others. This desire to appear strong and confident yet still feminine is something that I find particularly appealing about Annoushka’s designs. Annoushka has a wide array of jewellery that incorporates sapphires, however in celebration of this month’s stone I have selected four beautiful pieces to feature here. If you would like to see more of the brand, make sure you take an online trip to www.annoushka-jewellery.com and enjoy. 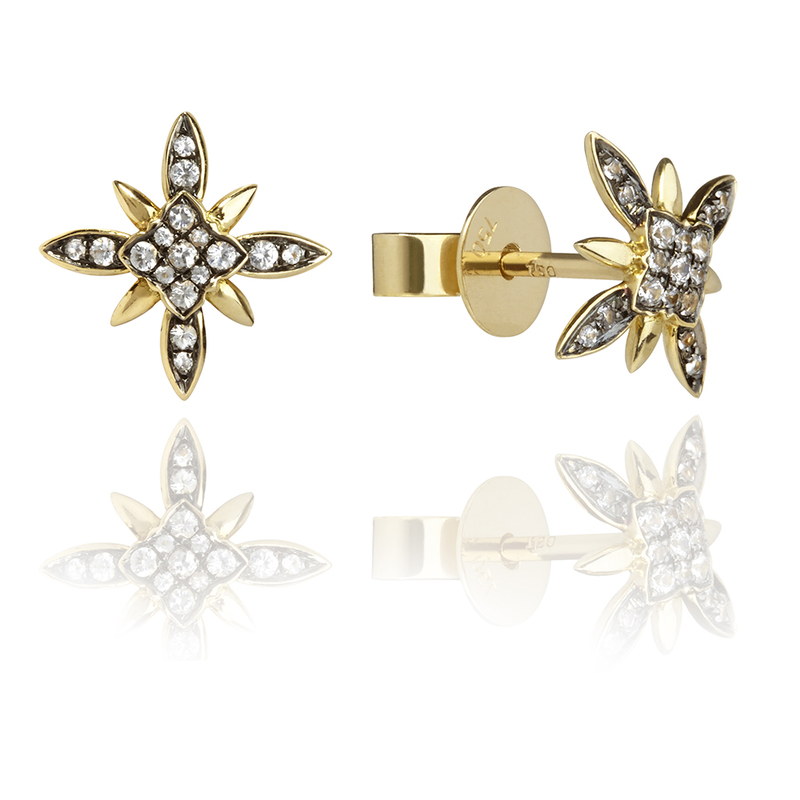 Frost stud earrings – These contemporary gold and sapphire stud earrings have been crafted using yellow gold and white sapphire. As we move into the cooler seasons I particularly love the artistic nod towards the winter snowflake whilst the yellow gold still adds a hint of summer. These earrings retail at £440. Annoushka Favourites Rings – Stacking rings are so popular right now and this collection of gorgeous yellow and white gold rings combine to create the perfect blend of colour and texture. Crafted in 18ct white gold, diamond and sapphire they retail for £2,435. 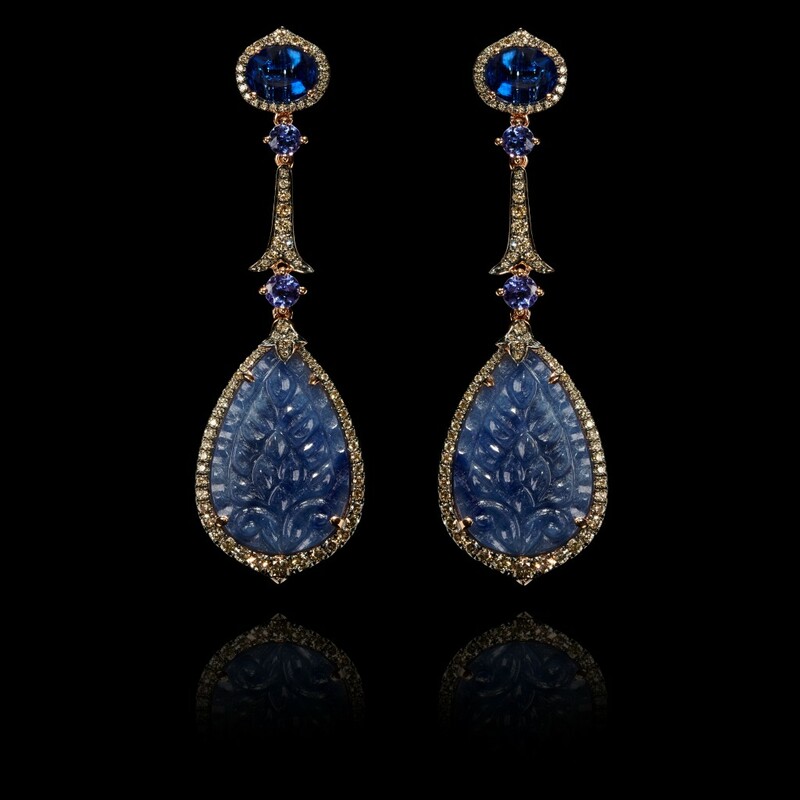 One of a Kind Sapphire Earrings – This dazzling set of earrings are part of Annoushka’s exclusive One of a Kind collection. The set features 32.82ct of hand carved sapphires expertly showcased in 18ct rose gold. Surrounded by 2.20ct brown diamonds and suspended from 5.16ct intense blue Kyanite, this pair of earrings is a real statement. “No matter if it’s with a pair of jeans or a cocktail dress, I hope every piece in this special collection surprises, delights and inspires, each time they are worn.” Says Annoushka. The earrings retail at £10,500 which, although perhaps more than the average budget, I would say is completely justified based on the materials and sheer craftsmanship that has gone into creating these beauties! 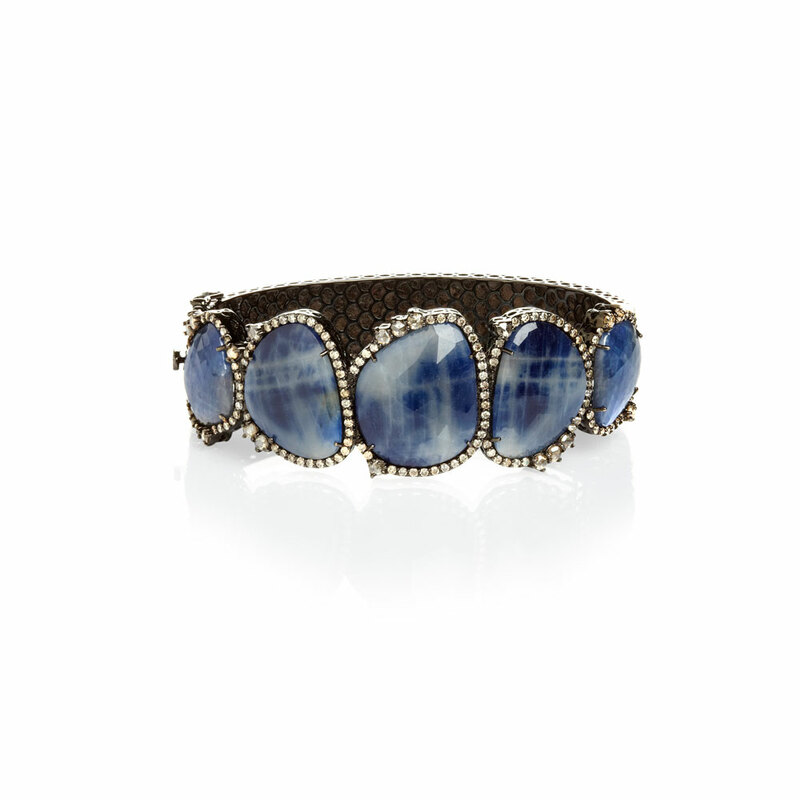 Sutra Sapphire Bangle – I love a beautiful bracelet or bangle as I believe that the right wrist wear can really set off an outfit. This stunning bangle is part of Annoushka’s guest designer Arpita Navlakha’s collection. Created in 18ct white gold, and combining 2.40ct diamond and 56.53ct sapphire, Arpita Navlakha’s has successfully fused classic design with a modern touch. In my opinion this bangle would be just as striking with a pair of jeans as with an evening dress, and if anyone fancies buying me an early birthday present, please feel free! The bangle retails for £16,500. 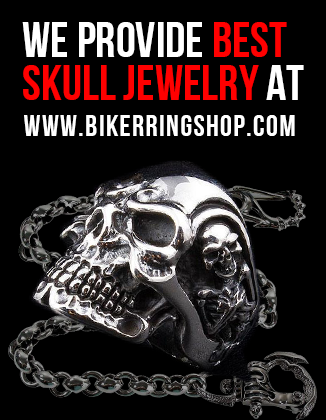 Stunning jewellery. 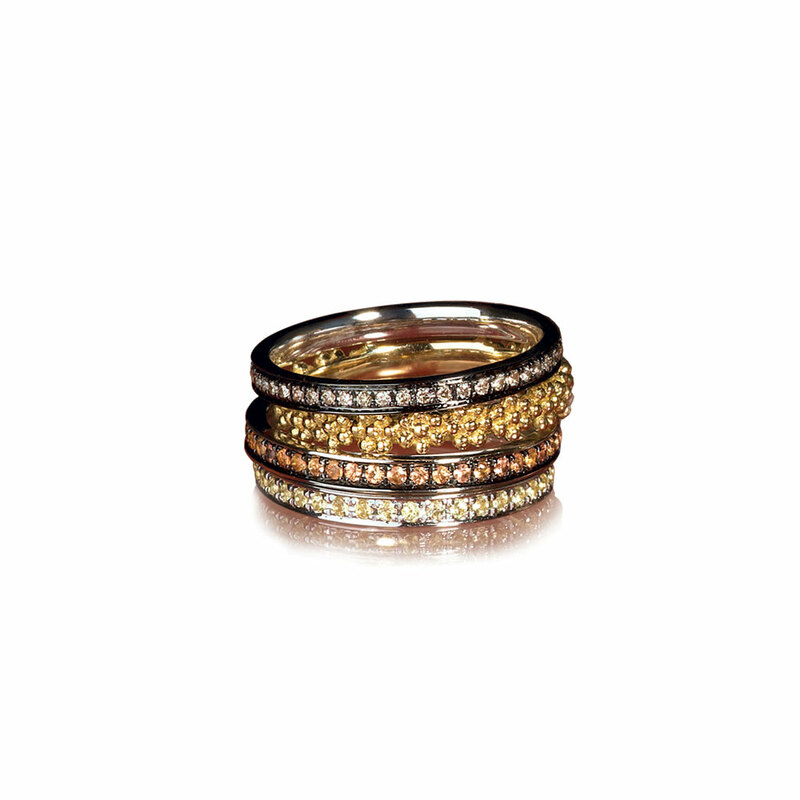 Totally in love with the stacked rings !!!! Beautiful, beautiful jewellery; these are exactly the pieces I would go for and the bangle is especially ‘eye popping’ . A fabulous statement piece for the professional woman and a superb addition to any jewellery collection. An excellent article Natalie; I look forward to reading many more! Thank you “NATALIE”. I like your passion about jewellery. You have very clear idea, what to wear with your dress which can give you inter satisfaction.. I am very impressed with you..